Make every wall an eye-catcher! 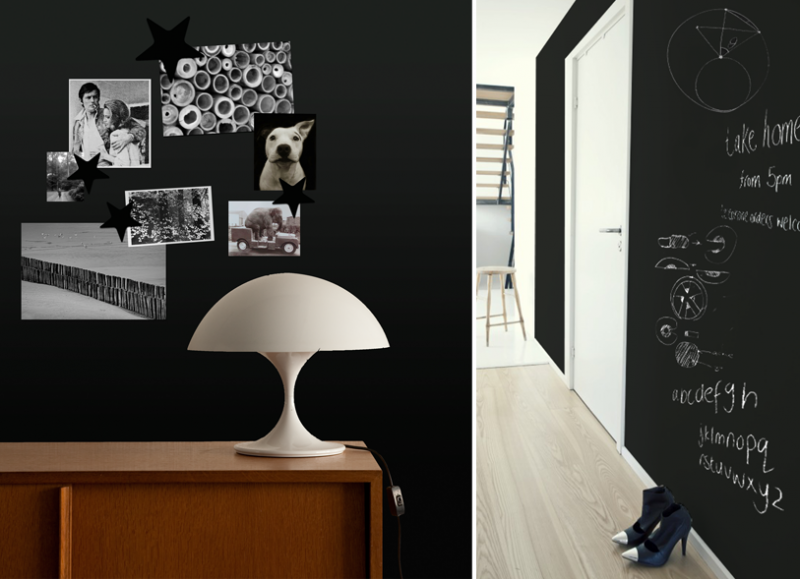 After creating their famous Groovy Magnets, Lies Verheyen and Pieter Claessen of the graphic design firm Mazout developed a completely new and innovative magnet/chalkboard wallpaper. No more messing around with layer after layer of magnetic chalkboard paint. Simply wallpaper the room and presto! 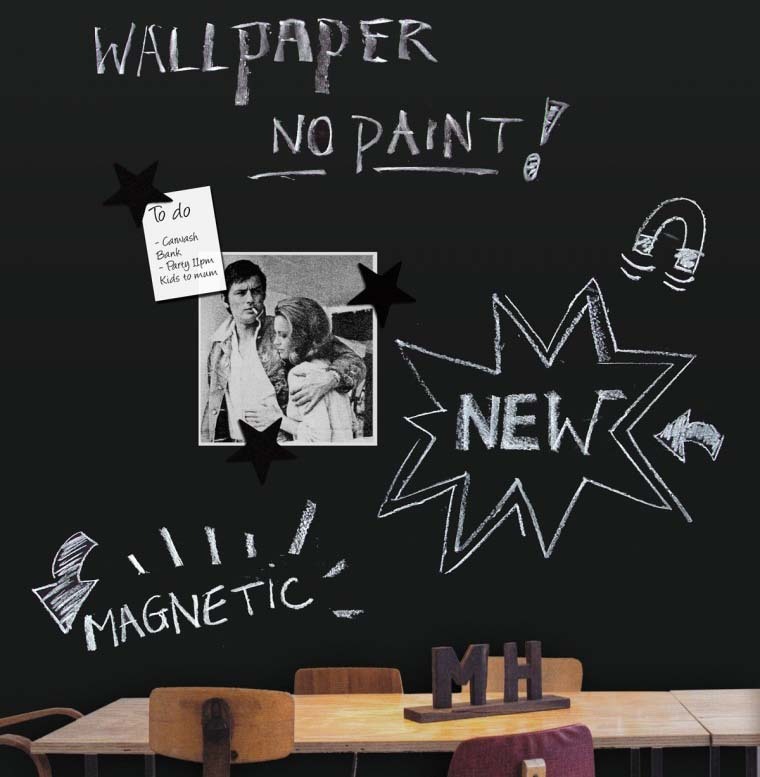 With this wallpaper, you and your kids will have an endless supply of space to unleash your creative selves. 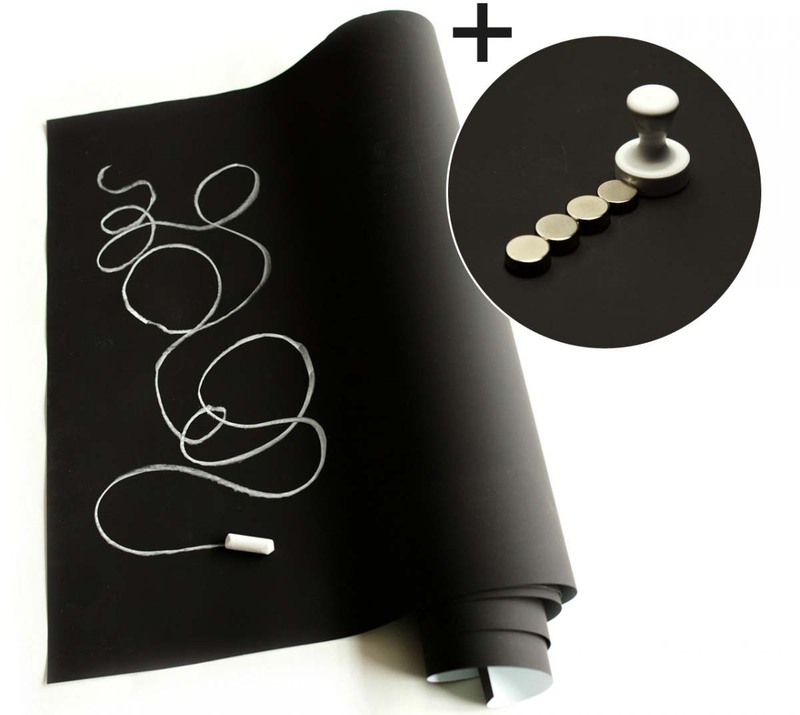 Just pick up a chalk to create a world of your own and scribble your most insane thoughts on the walls. 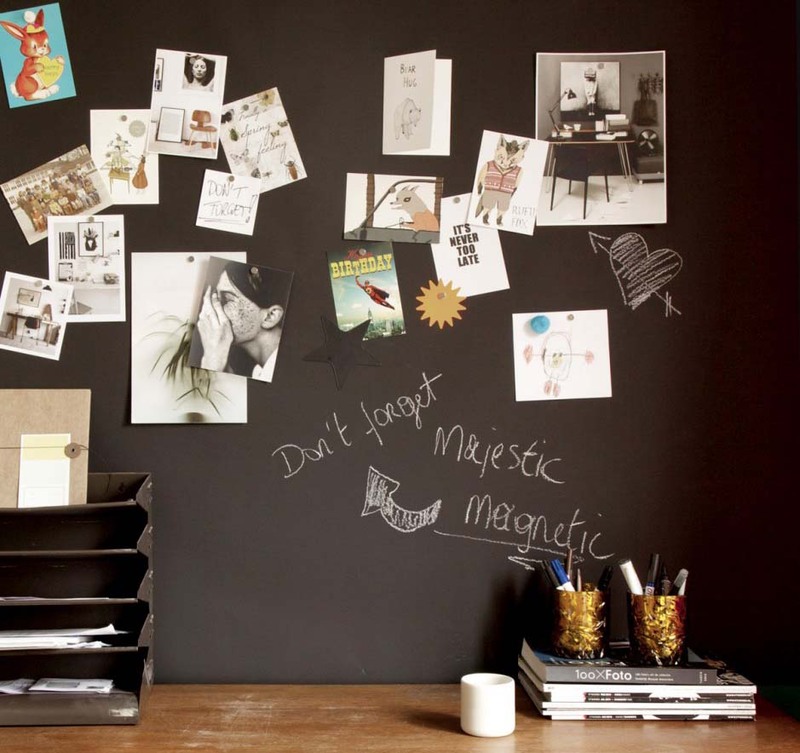 Because the wallpaper is fully magnetic, you can add even more personal touches to the walls. 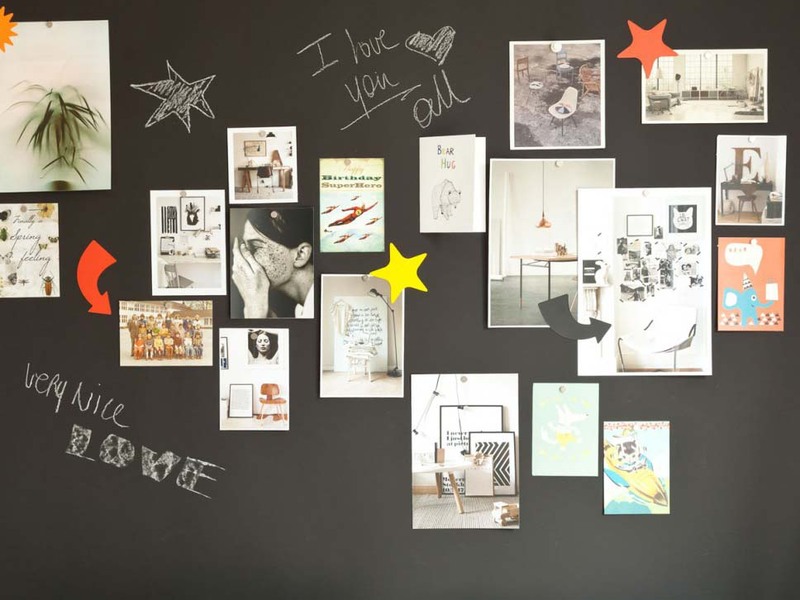 Use fun magnets to showcase your most treasured memories, such as child drawings and holiday pictures, where everyone can see them. But the clever wallpaper can also come in handy in restaurants and bars! Cover a corner of your establishment with this wallpaper and display the daily specials.